The combination of FreeNAS and Subsonic is perfect. Together you get ubiquitous access to your music. You can stream to multiple players simultaneously, for instance to one player in your kitchen and another in your living room. 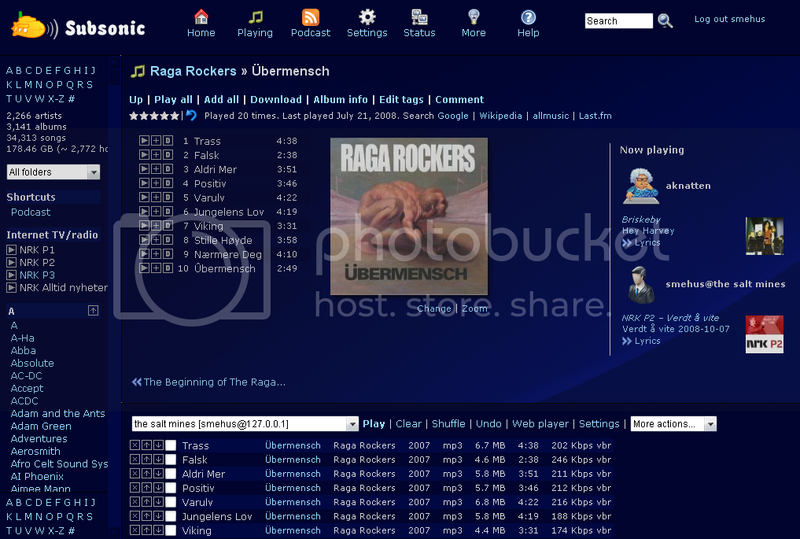 Subsonic is designed to handle very large music collections (hundreds of gigabytes) and in addition to being a streaming media server, Subsonic works very well as a local jukebox.